Saxophone player Alexander Beierbach was born in Stuttgart, has studied in Mainz and lives in Berlin since 2002. He works with various ensembles, most of them small groups like his quartets Absolutely Sweet Marie and The Tigers of Love, his trio BROM or the Duo with pianist Fee Stracke but also in large ensembles like the Hannes Zerbe Jazz Orchester. 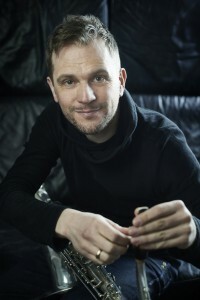 Alexander Beierbach is interested in the connection between improvised music and composed material. 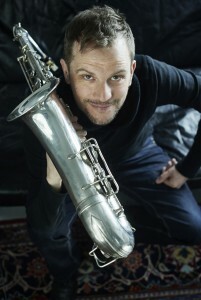 Saxophone-player Alexander Beierbach was born in 1971 in Stuttgart / Germany. 1992/93 he studies with Tom Timmler at Jazz & Rock Schule Freiburg. 1993-98 he continues his studies with Thomas Bachmann and Peter Reiter at the university “Johannes Gutenberg” in Mainz. In 1999 he founds the saxophone quartet Die vier linken Hände. 2002 Alexander Beierbach moves to Berlin, where he is working as a freelance musician. In 2005 he creates his quartet The Tigers of Love. Besides, he is working in various bands; among others, Florian Juncker´s improvising quartet Horntribe and Anke Lucks´ sextet Gleichwiederda. After participating in the International Workshop in Jazz and Creative Music in Banff/Canada new bands are formed, like the german/norwegian quartet Karma Sample and the quintet Yuma Yuma with musicians from France, Norway and Denmark. The trio BROM is founded in 2010. Since 2011 Alexander Beierbach is also a member of the new Jazz Orchestra of pianoplayer and composer Hannes Zerbe. In 2012 he initiates the quartet Absolutely Sweet Marie, a band working on the music of Bob Dylan.